This is a free hanging stained glass panel which also incorporates the use of pieces of fused glass. Made as a gift for a teacher this has the inscription and some detail painted and fired in the kiln. 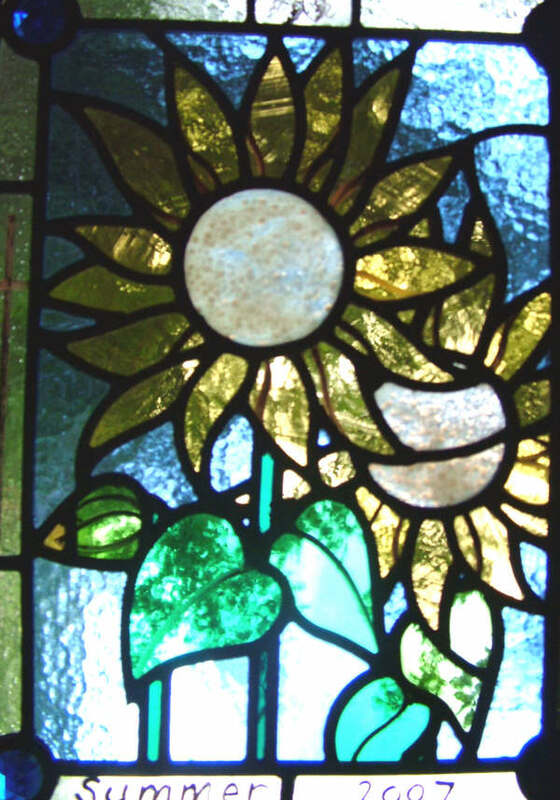 The centre of the sunflowers are made by fusing pale bronze glass pieces onto a wispy cream glass to give the impression of sunflower seeds.